and get the job drawn! How To Be A Successful Freelance Artist...Finally Revealed! 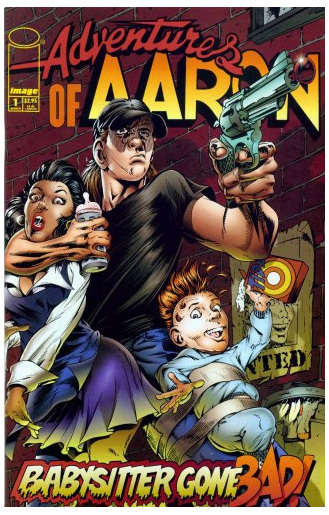 Before establishing www.CartoonistForHire.com one of Aaron Warner's creations was Adventures of Aaron, which in addition to an Image comic series, was also a syndicated newspaper comic strip, stage musical and even one of the first interactive CD-Roms. 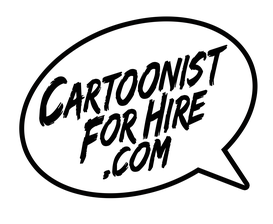 As an art director for Cartoon Studios, Aaron Warner relies on www.CartoonistForHire.com to locate and hire freelance artist who specialize in comic book art, cartoons, and even writing. 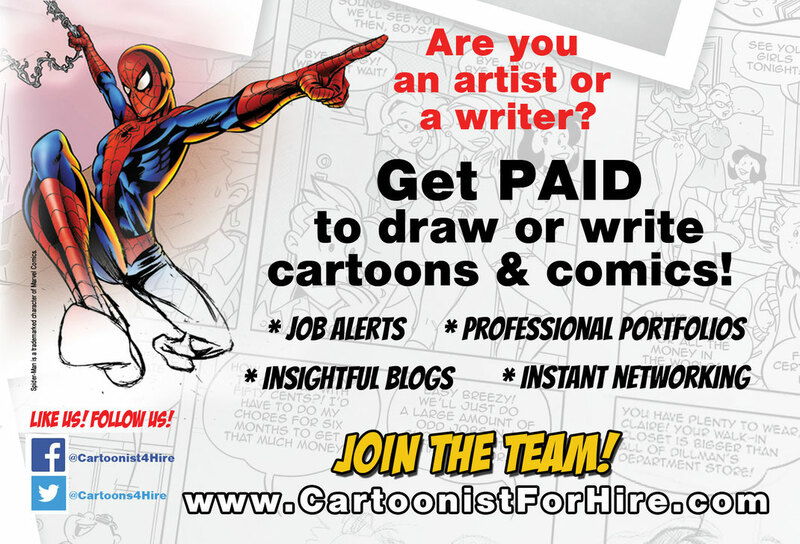 The popular site connects working artists with clients who offer paying assignments in categories ranging from animation, political cartoons, book illustration to even customized anniversary presents. And after more than 30 years as a freelance artist himself, Warner has seen many artists who, even as the demand for print media declined, continue to make a very comfortable living drawing children's books, comic strips or album cover art, to name only a few of the projects he has either illustrated himself or has overseen the production with the help of freelancers enrolled at www.CartoonistForHire.com. "Anyone looking for a secret formula how to succeed as a freelance artist only needs to know one thing," Warner offers. "They will get out of it what they put into it." "If an artist is determined to succeed as a freelance artist, they must be willing to draw some projects that pay only $25 each, just to keep drawing and making business connections," says the creator of several syndicated comic strips, in addition to many strips and comic panels he has created for corporations. "Eventually those small $25 jobs become cover assignments that pay in the thousands after the art director has become comfortable with working with you or likes the style of art you produce. But to get there, you must devote countless hours to developing new work, seen in a variety of places, and devoting your mindset to always wanting to improve. The dedication to work when working in art must not be understated if one desires to be successful as a freelance artist. You will get out of it what you put into it." "This is also true with keeping an open mind and always wanting to learn by being self reflective and studying the work of others," Warner says after overseeing many art jobs as editor between clients and artists. "It is always disappointing when an artist claims they have been influenced by a legendary comic artist, then fail to deliver any art of their own that even slightly utilizes the craftsmanship of their favorite artist. This shows they have actually only "enjoyed" seeing that style of art, but not necessarily learned anything from studying it. Composition, design, staging suspense and creating scenes that enhance the story are all required, and the good artists learn how to do this from trial and error and by studying why it works in some great examples. But the stubborn freelancer will believe they already know how to do their craft well and will never be open for improvements, even though examples of how to be a better artist are all around them and in their own bookshelf." Warner has learned from his own experiences, having drawn caricatures for $5 at fairs and malls when he was first getting started to later signing autographs of his successful comic series. "Simply ask yourself if there is something more you can be doing, then do it. Is it a need to bring more public awareness to your existence by using social media? Then set aside an hour each day to tweet, post, blast and blog to anyone who wants to see your work. If it is a need to hone your ability to draw noses, take an hour each day to study your favorite artist and discover how they drew noses. Every creator has already put the time into learning what trick works for them. And by examining their work, anyone can improve...and with improvement comes quickness, and from the ability to work quickly comes the ability to earn more money by accepting more paying assignments. It is all a formula you must set up and see through to the end." "Just like any athlete, the benefit comes after the time is spent to learn how others did it, compare and examine your results, and discover from trial and error," says Warner, "and you will get out of it, what you put into it." Become An Artist For Hire! are you an artist? Join our art team!